Archaeologists Discover Dozens Of Cat Mummies, 100 Cat Statues In Ancient Tomb Rare mummified scarabs, preserved in coffins decorated with beetle drawings, were also found. Egypt hopes to attract visitors to the country's heritage sites, where tourism has dropped since 2011. 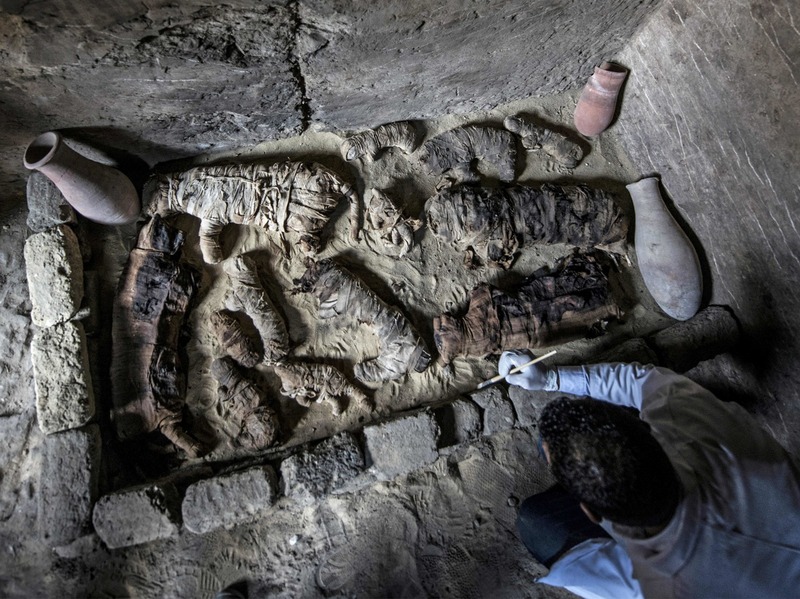 Egypt's Ministry of Antiquities announced Saturday that a team of Egyptian archaeologists excavating a 4,500-year-old tomb near Cairo has found dozens of mummified cats. Also in the tomb were 100 gilded wooden cat statues, as well as a bronze statue of Bastet, the goddess of cats. The Ministry of Antiquities was clear about its goals in announcing the discoveries: attracting visitors back to Egypt's heritage sites, as the country has experienced a significant drop in tourists since the 2011 mass protests that overthrew dictatorial President Hosni Mubarak. The mummified cats themselves ... well, those images are more unsettling, though they offer incontrovertible evidence that mummification is highly effective. While ancient Egyptians saw cats as divine, they didn't exactly worship them, Antonietta Catanzariti, curator of the Smithsonian Sackler Gallery exhibit Divine Felines: Cats of Ancient Egypt, told NPR last year. "What they did is to observe their behavior," she said, and create gods and goddesses in their image — much as they did with other animals, including dogs, crocodiles, snakes and bulls. And while cat mummies are fascinating, Catanzariti said they were also pretty common in ancient Egypt, where cats were bred for the purpose. "In the 1890s, people from England went to Egypt and they collected all these mummies. One cargo was 180,000 of them." Perhaps that's why the antiquities ministry made a bigger deal about something else they discovered in the tomb: mummified scarab beetles. Two large specimens were found wrapped in linen, apparently in very good condition. They were inside sarcophagi decorated with drawings of scarabs. "The (mummified) scarab is something really unique. 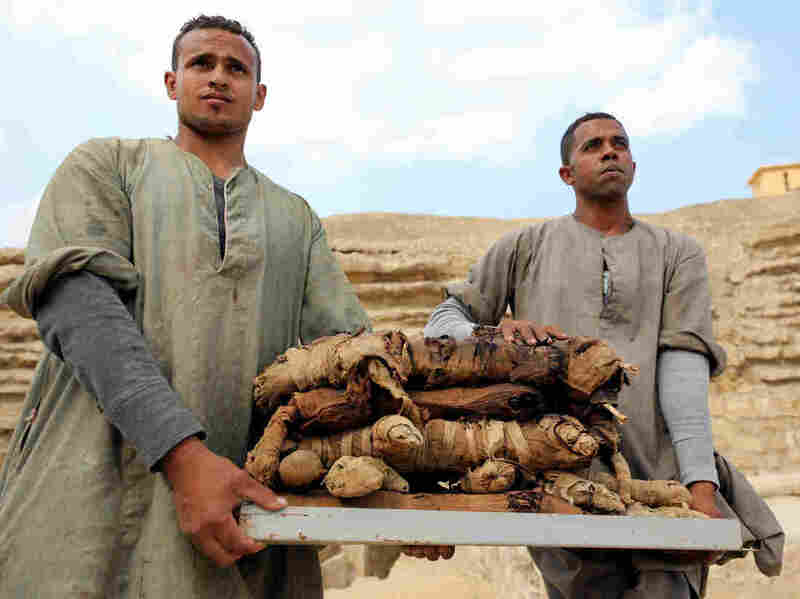 It is something really a bit rare," Mostafa Waziri, secretary-general of Egypt's Supreme Council of Antiquities, told outlets including Reuters.